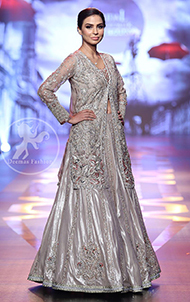 Tags: Front Open, Gown, Gray, Lehenga, Silver, Walima & Second Day. 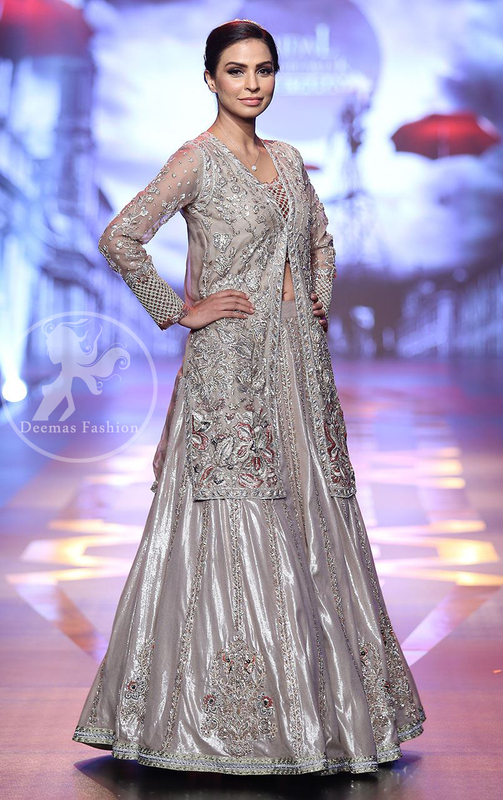 Lehenga has been adorned with embellished border at the bottom. Large motifs implemented above the bottom.